All work and no play makes for a cranky Bridger. Our mantra has always been, Work Hard - Play Harder. 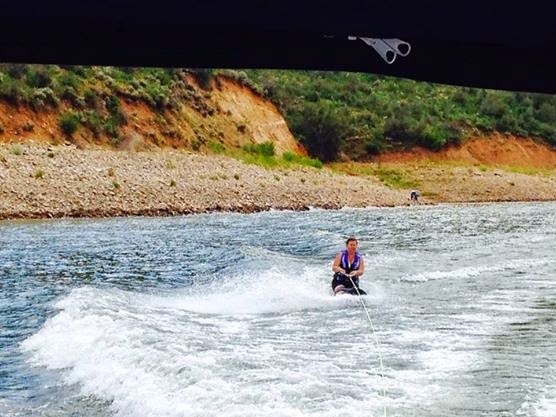 When Bridger is not in physical therapy, we make sure that he shares in the fun summer adventure that the rest of us are having. 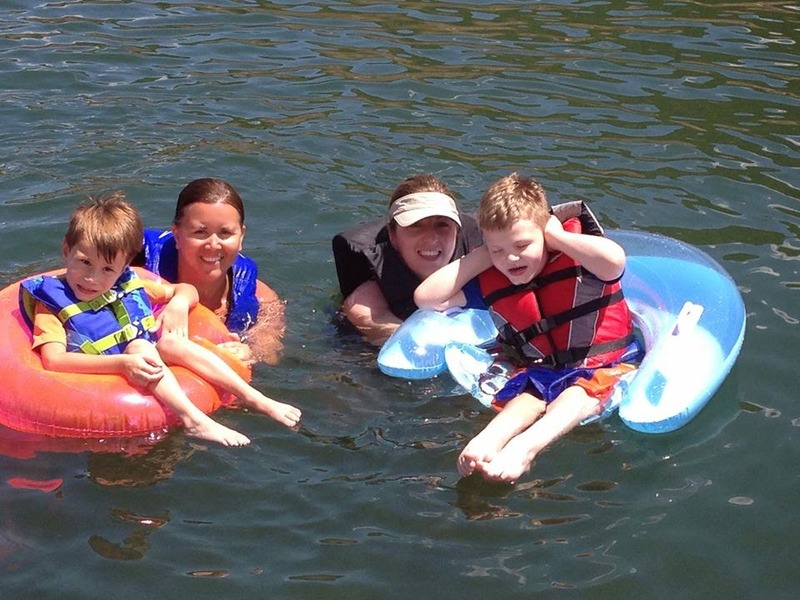 This past week, we had some fun in the sun. Not full sun, of course, because that wouldn't be as fun. But saying "fun in the partial sun with a full coverage of canopy" just doesn't roll off the tongue as well. All of this fun was courtesy of our wonderful fellow CDG family. 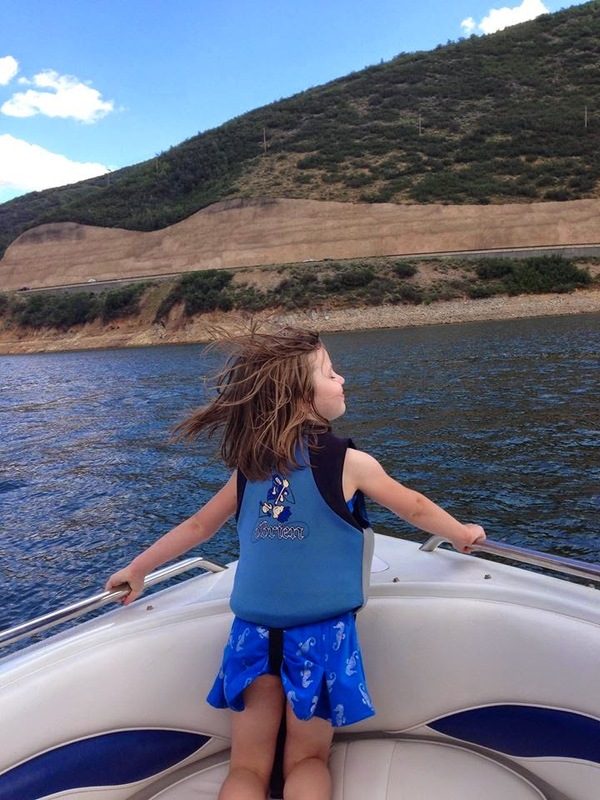 Take one gorgeous boat, four adults, eight children (3 with CDG) and throw us out in the water in the middle of nowhere in the Utah mountains and you have the recipe for a good time. When everyone jumped in to cool off and enjoy the water, Bridger was pretty positive he did not want to and made that opinion known to me. My opinion, that he needed to enjoy the water, trumped his and in he went with the others and immediately loved every second. 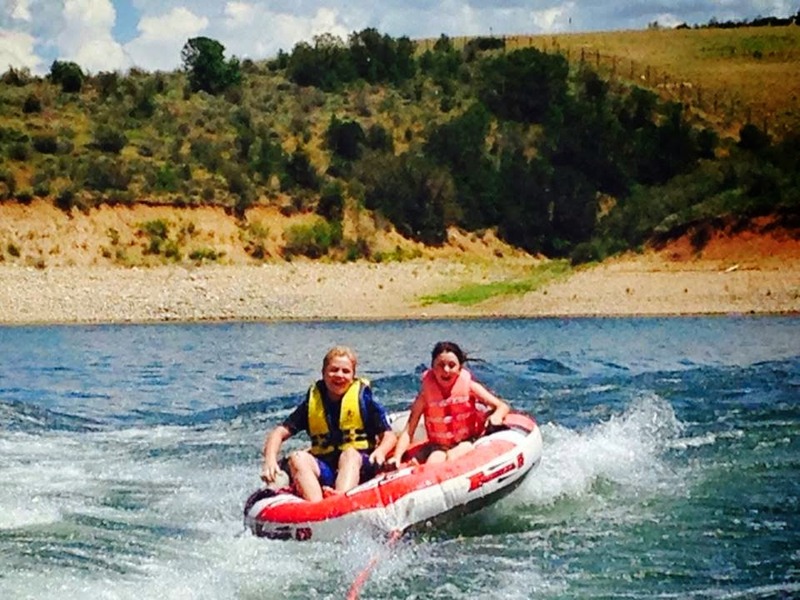 Bridger and Eliza were first up on the raft with me. They had no idea why we were sitting on this little raft connected by a rope to the boat -- and then the motor started up and the boat started moving. I could not stop laughing at their reaction while I was clinging to them. They were in hysterics. 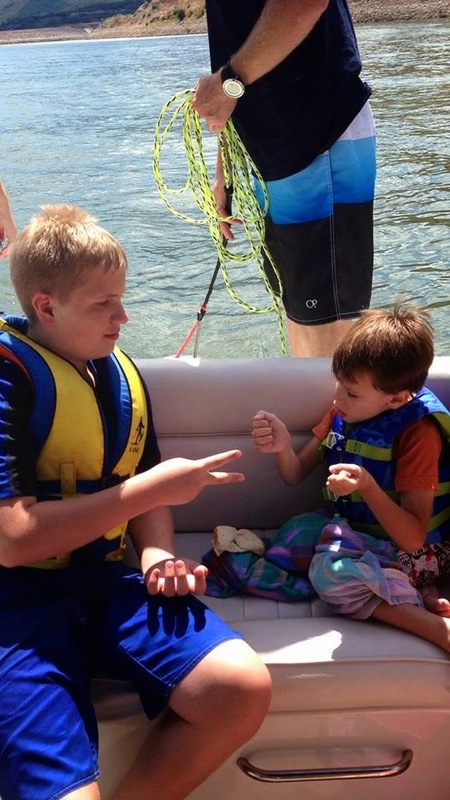 For a boy who has sensory integration issues he sure loved the speed and bouncing of the raft being pulled by the boat! I wish I could do a close up of his little face - his expression tells the whole story! 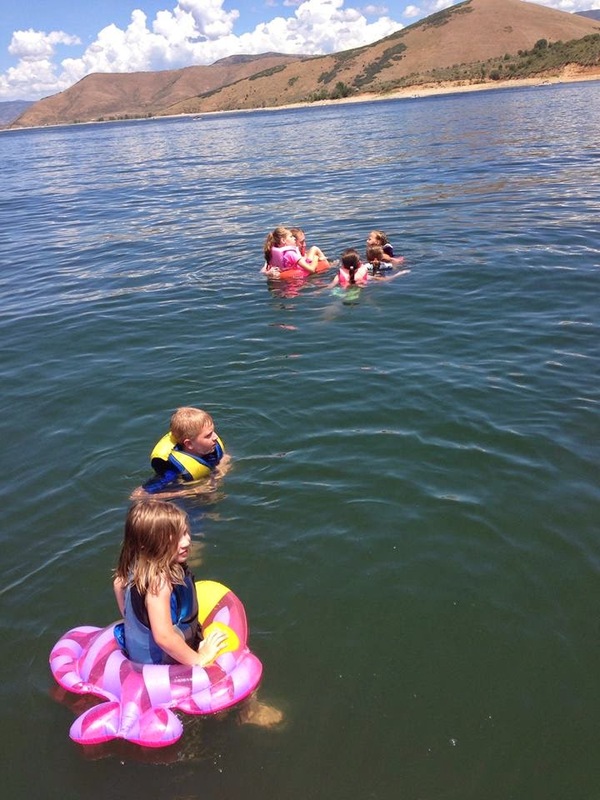 The others were dying for their turn and so we continued with every combination of children on the raft. I particularly enjoyed the Sadie/Lance combo. I called it "Sibling Therapy". Their sweet 13 year old daughter with CDG was Evie's bestie for the afternoon. Lance was the big brother of choice for their little guy. 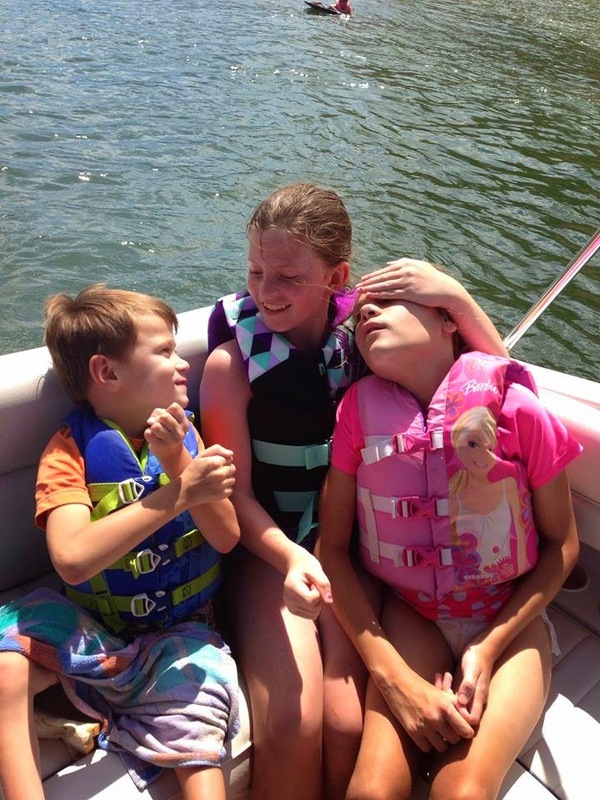 I love the way my kids will love and befriend every other kid, regardless of abilities. 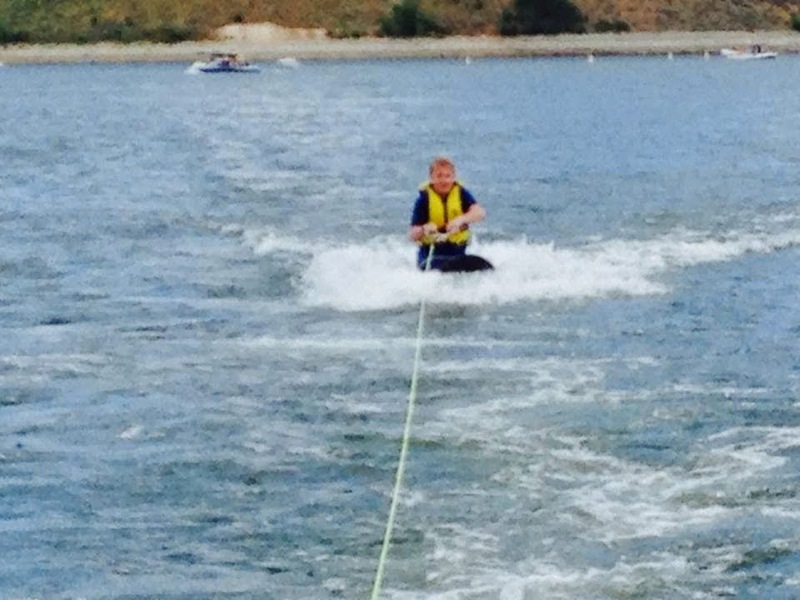 Lance's highlight of the afternoon was his performance on the knee board. My pride wouldn't let me try. 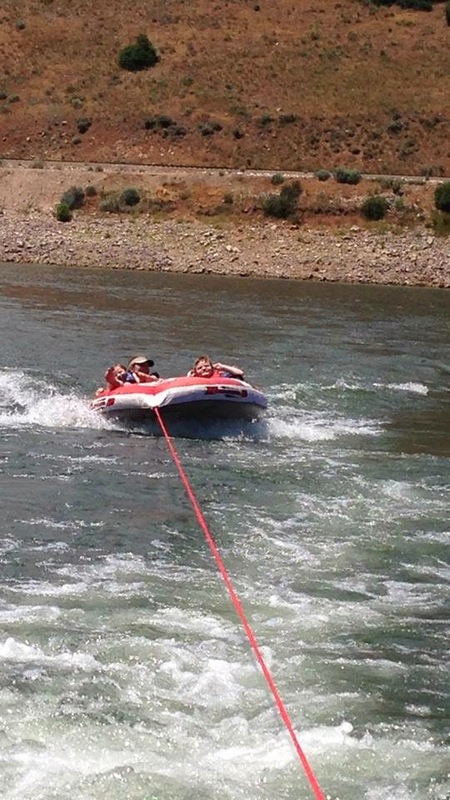 But my friend showed off her mad wake skills on it. You know what made this day so beautiful? It was beautiful because it was a boat full of two families that were doing what some would look at as impossible. There was some super heavy lifting as these children with special needs were carefully placed over the side of the boat into the water then lifted back out again. There was balancing, holding, shading, supporting, g-tube feeding, reflexive throwing of towels into the water, super keen reaction time to retrieve reflexively thrown towels before they sunk, sounds and screams, sensory shutdowns and more. Just thinking about what such an activity would involve would have sent others running in the other direction. But to us - it was the greatest adventure ever! My children still have smiles spread over their faces from the memories of that day. 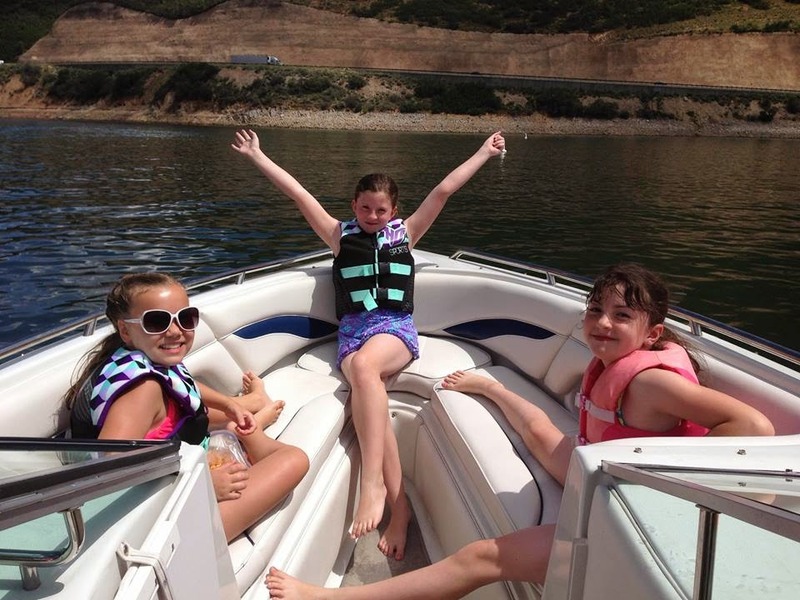 We definitely have to work hard in everything we do in life, but this boating adventure is proof that we play hard too.